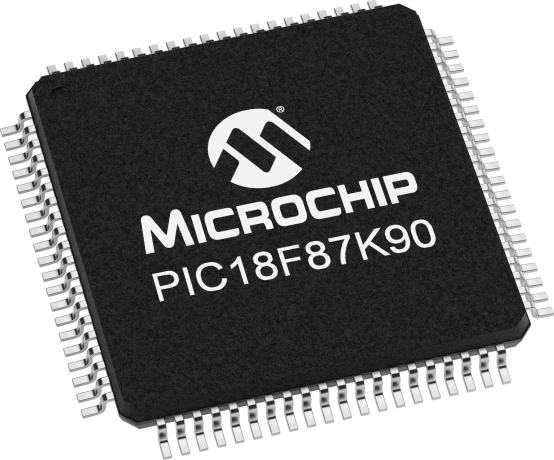 The PIC18F87K90 family of 8-bit microcontrollers, featuring nanoWatt XLP technology and the Charge Time Measurement Unit (CTMU) module, provide ideal solutions for battery-powered LCD applications utilizing touch interfaces. With 24 channels of capacitive touch sensing in an 80-pin package, these MCUs enable higher system integration – combining large segmented LCDs with the capability for a high number of touch sliders, buttons and keys or touch screen technology. Industry-leading low power operation exhibited by this family of microcontrollers helps to extend battery life in applications such as portable medical devices, thermostats, security systems, utility meters, small appliances, and electronic door locks.